You need a time out! Well … not the type you might assign your child! Your time out is from caregiving. Caring for a loved one who requires daily support is a full-time job. No one doubts that. And that job can be especially involving if your loved one has a chronic health condition such as Alzheimer’s disease. Often, providing care can take its toll on you as well, affecting physical and emotional well-being. As with any job, you deserve an occasional timeout to rest, recharge and return to your role with renewed energy. Unfortunately, many caregivers ignore the need for a break. 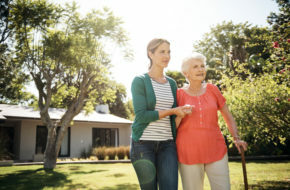 Whether they feel fully responsible for meeting every one of their loved one’s needs—or they simply don’t know how to obtain help—caregivers can quickly burn out. If that occurs, the situation can affect other aspects of your life, including not only your physical health but also emotional stability, family relationships and more. Moreover, when you’re drained, it’s hard to give your best to the person depending on you for care. Respite care is an ideal solution for busy caregivers hoping to avoid burnout and practice some necessary self-care. 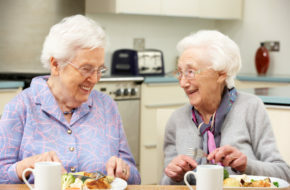 Respite care is frequently offered by senior living communities, such as those within Diakon Senior Living Services, on a day-by-day basis, or by such programs as Diakon Adult Day Services, which has locations in Pottstown, Pennsylvania, and Hagerstown, Maryland. 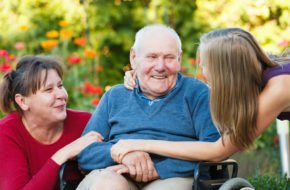 Using respite care for a few days or weeks can help you to take care of yourself, while knowing your loved one is being cared for by professionals in an environment that promotes socialization and engagement with others.